After installing wordpress now you need to install a theme for your website or blog. Firstly I will let you know what is theme ? . It is one of the main things .It is the thing which gives a look to your site , in other words it is the design of your site . A theme contains a number of templates . You must have an attracting theme which can easily attract your visitor and it should also be related to the content you are going to put on your site . So now I will tell you how to install theme using wordpress. Firstly open your wordpress dashboard buy logging to your site's wordpress admin panel . For this you can go to the link given in the email which was sent to you after wordpress installation on your site . Enter your login username and password ( these would be there in the email sent to you ) . 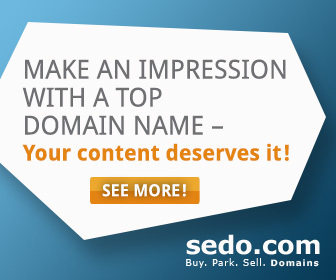 You can also go to www.yourdomain.com/wp-admin to login to your wordpress dashboard . 1) First go to appearance and then select theme and manage them page will open up , here you can manage your them which you have installed on your site. On the up you will see install theme tab , click on it to open it . 2) Now click on search button . Here you can search a theme of your kind. You can select any colour , how mane columns do you want , width and many other features . You can even search any popular theme by its name for example responsive , suffusion, custom community ,vfex, appliance , sensitive and many more . 3) Select the theme you cant then click on that theme to download it. YOU CAN YOU BUY A PREMIUM THEME . VISIT HERE - TO GET PREMIUM THEMEFOREST OR MANY OTHERS ARE 75-80 % DISCOUNT . YOU CAN ALSO ASK ME FOR ANY THEME IF I WOULD HAVE I WOULD GIVE YOU AT HIGH DISCOUNTS . 4) You can also upload a theme if you already have one . Just click on install the button , select that file and click on install button . 5) After that now click on activate option to activate that theme . You can download many themes either free or premium and try them on your site and keep the one which you like the most.